Can the Future Forward Party shift Thai politics? The upcoming Thai election has got everyone excited. Everyday there are new twists and turns in the unfolding drama. 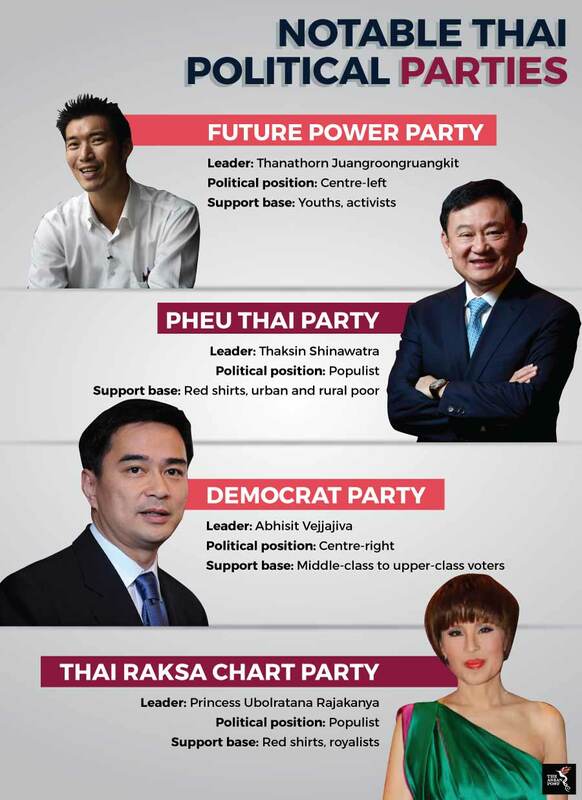 Most recently, the elder sister of Thailand's king Princess Ubolratana Rajakanya was announced as leader and Prime Minister candidate for the Thai Raksa Chart Party – a party reportedly affiliated to Thaksin Shinawatra. Meanwhile, Prime Minister Prayut Chan-o-cha, who led the 2014 military coup has accepted the nomination by the army-aligned Palang Pracharath Party to be its candidate for prime minister. As the spectacle of Thai politics becomes more entertaining and exciting by the day, a new party led by young activists is quietly trying to completely change politics in the country. Launched last year, Anakhot Thai or the Future Forward Party wants to breathe fresh air into Thailand’s political landscape which has long been dominated by the likes of the military and the Shinawatra family. The party was founded by two young men, a 39-year-old business tycoon Thanathorn Juangroongruangkit and law professor Piyabutr Saengkanokkul after a late-night conversation between the two. One of the party’s main promises is to strengthen democracy in Thailand by limiting military involvement in the government. Historically, the military has played a huge role in shaping Thailand as many know it today. Thailand has suffered decades of political instability. Many assign the blame for this to the power of the military junta. Ever since 1932, the country has seen 12 successful military coups. Currently, Thailand is under military rule after the military junta launched a coup in 2014 that saw the removal of Yingluck Shinawatra and other ministers from government. Deputy party leader and party candidate for the defence minister, Phongsakon Rotchomphu told local media recently that the party is committed to reforming the military and wants Thailand to have a “professional” army that serves the people instead of carrying out coups. Thanathorn has also mentioned that the party wants to restore the people’s faith in Thailand’s parliamentary system. Thanathorn says that one of the solutions is to amend the constitution with priorities on removing the senate’s power to choose the prime minister. Under the new constitution drafted by the junta and approved in a referendum in 2016, the 250-member upper house or Senate must comprise of military appointees. In electing a new Prime Minister, both houses – the 250-member upper house and the 500-member lower house – can vote for their leader. Therefore, Prayut can technically retain power if his 250 military appointees backed him and gained 126 votes in the lower house to form a simple majority in his favour. According to the Bangkok Post, Thanathorn highlighted the fact that such undemocratic means of deciding the prime minister could cause political instability. "We must not allow the country to plunge back into the same cycle of coups and street protests which also have impacts on the economy,” he said. The Future Forward Party has a herculean task ahead of it. By wanting to overthrow the old guard, it will face opposition from both, the current military regime as well as the established politicians from traditional political parties in Thailand. Hence, it could face the risk of alienating a large number of voters. At the same time, Thailand is in desperate need of new ideas as well as younger faces in politics. Their idea to democratise Thailand could very well be a vote winner. Within the current system, Thais will probably continue to be denied of their voice to shape the country’s politics. So, the Future Forward Party’s promise to revamp the constitution and limit the influence of the military could resonate with many people. Across the world, young faces are reinvigorating politics with their unique perspectives and ideas. Perhaps, Thailand too is ready for a political renaissance. Will Thai elections be fair?